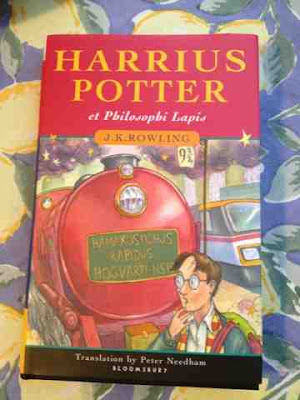 A friend recently picked up a copy of Harry Potter in Latin on a trip to Bath, England. Even thought I don't read Latin, it is pretty funny to see, especially when you know what the text says in English. 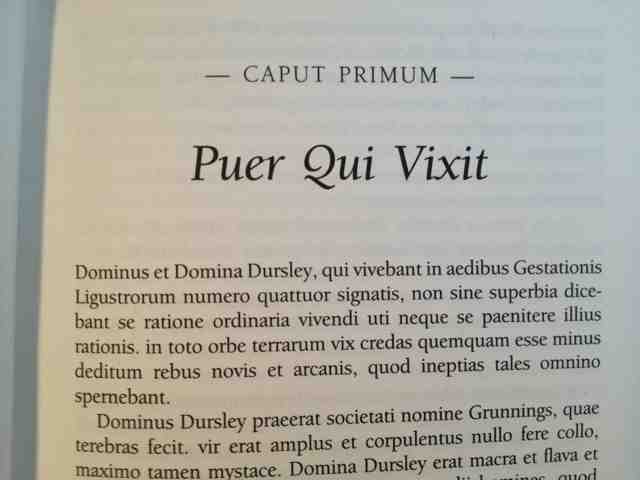 The names Mr. and Mrs. Dursley just provide a completely different tone as "Dominus et Domina Dursley." They sound well, dominant. I love this. I collect Agatha Christie books in different languages. It doesn't matter which book it is and I currently have about 15 different ones!